Over the past few years, dropshipping has grown in popularity and practice. 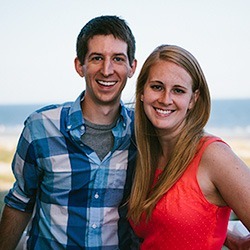 Ecommerce merchants source products from dropshippers, saving themselves both time and money. Even better, dropshipping is arguably one of the cheapest ways to start an online business because it requires little capital. In dropshipping, merchants (like you) work directly with manufacturers and wholesalers in the procurement, display, sale and shipping of purchased goods by consumers. Typically, merchants would work with a fellow distributor or middleman merchant to procure goods. With ecommerce dropshipping, that middleman is removed and the merchant deals with the producer of the goods directly. As a consequence, merchants can price their goods competitively and make higher profit margins. Another characteristic of dropshipping is the absence of inventory for the merchant. Instead, it is the manufacturer or wholesaler who holds onto the inventory until it is sold by the merchant. Once the merchant notifies the manufacturer/wholesaler of a sale, it is their responsibility to ship the item. The merchant might have to pay for shipping charges, but the merchant need not worry about packing up goods, buying shipping insurance, or standing in line at the post office. Effective dropshipping isn’t a complete piece of cake, however. 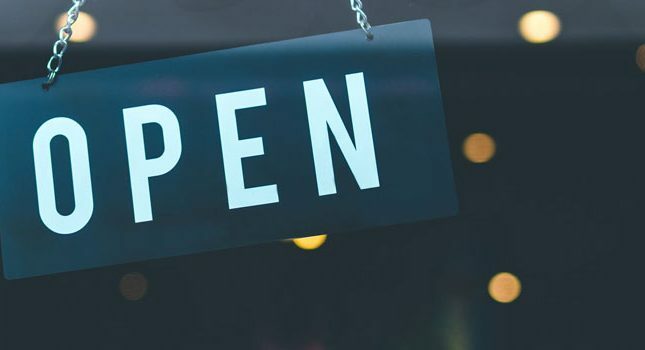 One of the biggest challenges of this business model is finding companies that provide quality products and respond to customer issues/inquiries. Another issue is automation, so that the merchant isn’t stuck doing a lot of administrative work like importing relevant products, notifying customers, creating invoices, processing returns, etc. AliExpress– This offshoot of Alibaba enables you to place orders for individual products, not lots of 100 or 500, as is the case with many wholesalers. Many of the sellers here offer incredible unit savings and even free (ePacket) shipping. Keep in mind that not all the wholesalers here offer dropshipping, so you should first search the site by who offers that service. Also, because there have been issues with consumers not receiving their products, it is best to thoroughly investigate any manufacturer you choose to do business with. 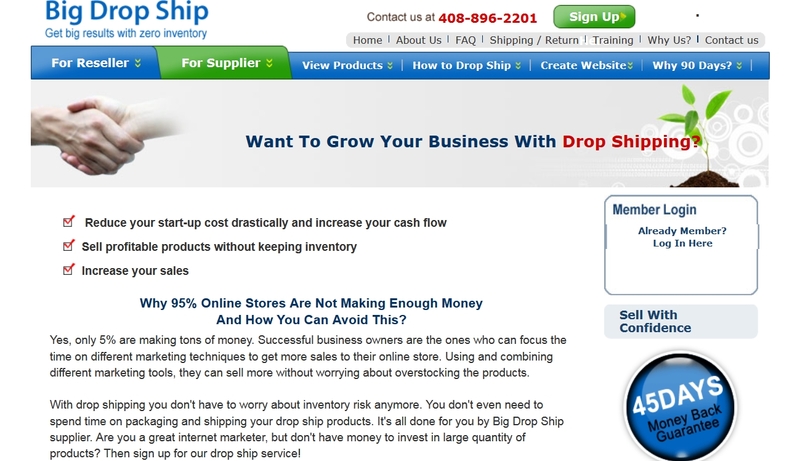 Big Drop Ship– This site acts as a dropshipping middleman, handling orders, packaging and returns as well as shipping. You receive a generous 45-day trial period to test the service out- however, you could pay nothing and just peruse the directory of wholesalers, then contact them individually. Doba– If you don’t wish to bother with dropshipping micromanagement, Doba is the place for you. 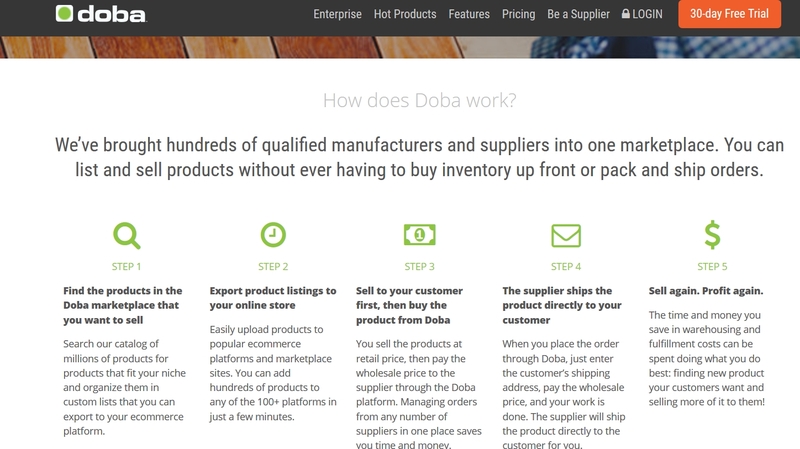 Doba not only offers a directory of manufacturers and wholesalers, it also features an interface that allows you to grab your products and place them on your website without having to check out dropshippers. This is because Doba contacts the best dropshippers on your behalf, after which it sends your sold products to customers. Oberlo– This free app partners with ecommerce giants like Shopify to facilitate dropship product discovery and migration, content creation (e.g., product descriptors) and shipment tracking. Using Oberlo, you can import products directly from AliExpress, then price and launch them within minutes. nd sooner. Not only do you gain access to thousands of suppliers on AliExpress, but the product images, details and prices are all situated right there for you. Salehoo– This site is much like Doba except that it features tools that help you find popular products to sell as well as products that feature low competition and highest markup. The site also offers a blog and user forum so that you can gain advice from others. Salehoo features over 8,000 wholesale and dropship entities. Sunrise Wholesale– This dropshipper offers over 15,000 products for you to list and sell. You also gain access to several tools, including an Amazon Selling and Research Manager and an eBay Listing Wizard and Research Tool. Wholesale 2b also connects with the ecommerce platforms Shopify and Bigcommerce. 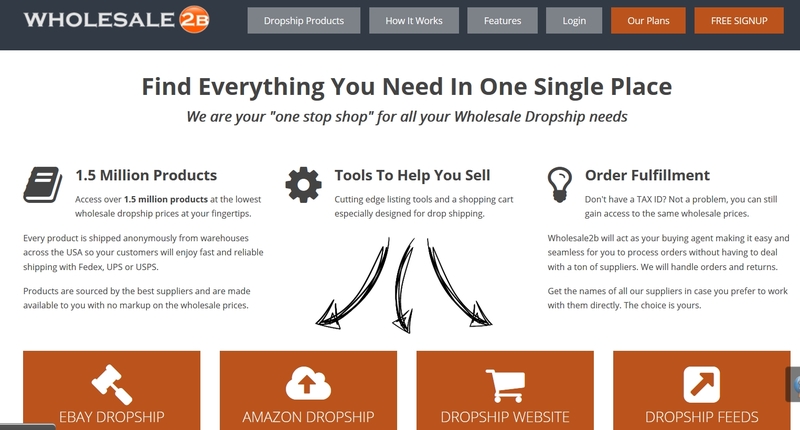 Wholesale 2b– One of the persistent problem with dropshipping is long shipping times. Wholesale 2b is based in the USA, so your customers are closer to their product and can receive it by FedEx, UPS or USPS. You do need to pay a monthly fee to access Wholesale 2b’s platform and load products; however, the site will act as a middleman for you, sending out ordered products to customers and handling returns. Wholesale Central– This site charges no fee and provides direct access to dropshippers, wholesalers, importers and manufacturers. Many of these suppliers are located regionally and not just in China or Taiwan. The website itself lists categories of items such as jewelry, sporting goods, perfume and electronics. 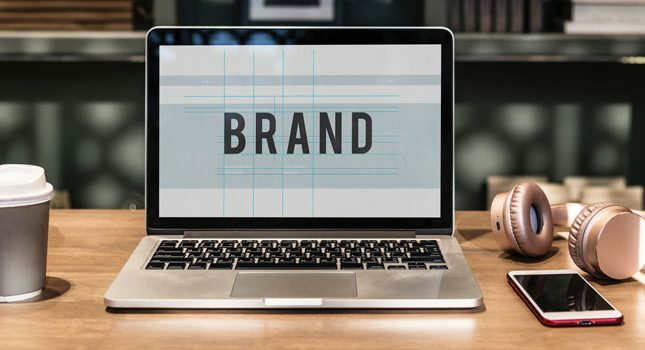 World Wide Brands– If you’re concerned about possibly collaborating with a less-than-reputable dropshipper, be aware that World Wide Brands requires all of its suppliers to be certified for responsiveness and service quality. You also get the dropshipper’s contact information through this site, so you can work with them directly. Inventory Source- This site has a reputation for providing highly accurate information about its listed products, as well as tools for autoloading product images, titles and categories, syncing inventory quantity, cost and status, and adding in new supplier products. There are four tiers of membership, including the basic membership, which is free. Have you tried dropshipping for your ecommerce business? Tell us about your experience in the comments below.